The fall is a time for reflection for many as we start to feel the effects of the changing seasons—moving clocks back, taking sweaters out of storage—and we begin to look forward to the holiday season and a new year. 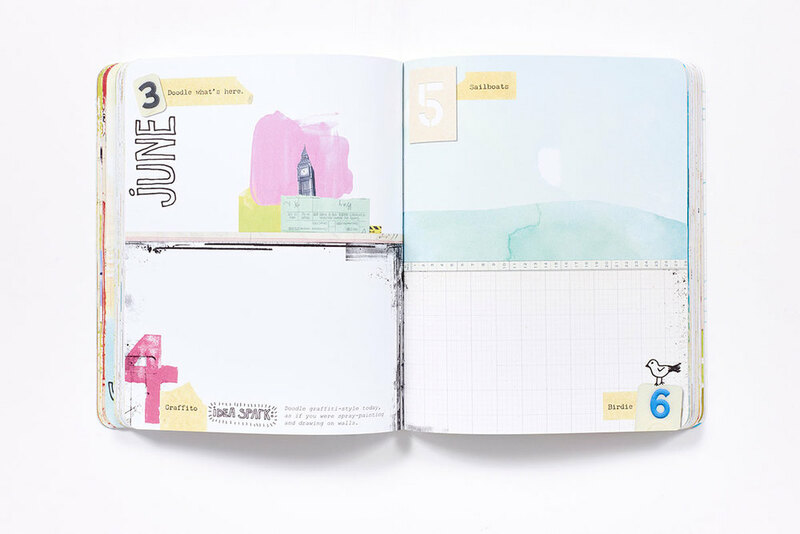 This November, we're giving ourselves a chance to sit back and take the time to explore those changes more mindfully through the process of art journaling. 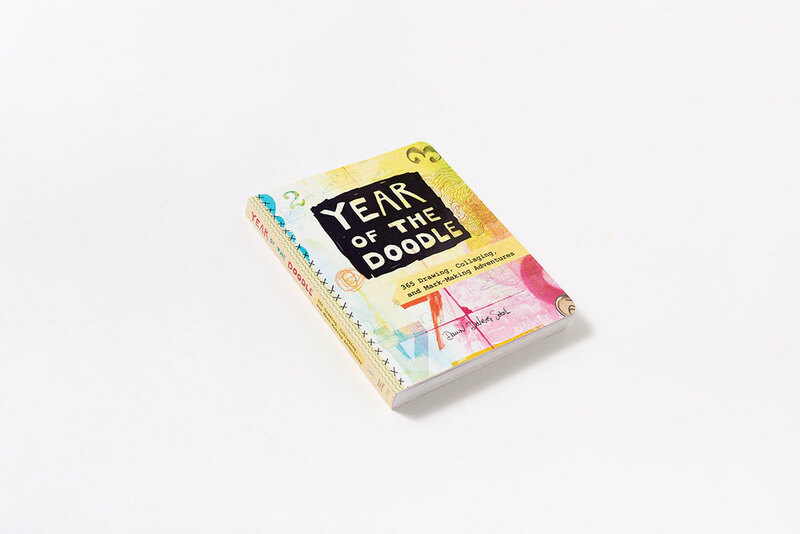 Available this week, Dawn "Doodle Queen" Sokol's latest book, The Year of the Doodle: 365 Drawing, Collaging, and Mark-Making Adventures, is the perfect way to get started. On the first of the month, Dawn kicked off her annual National November Journaling Month (or "NaNoJouMo") with daily prompts on her blog. 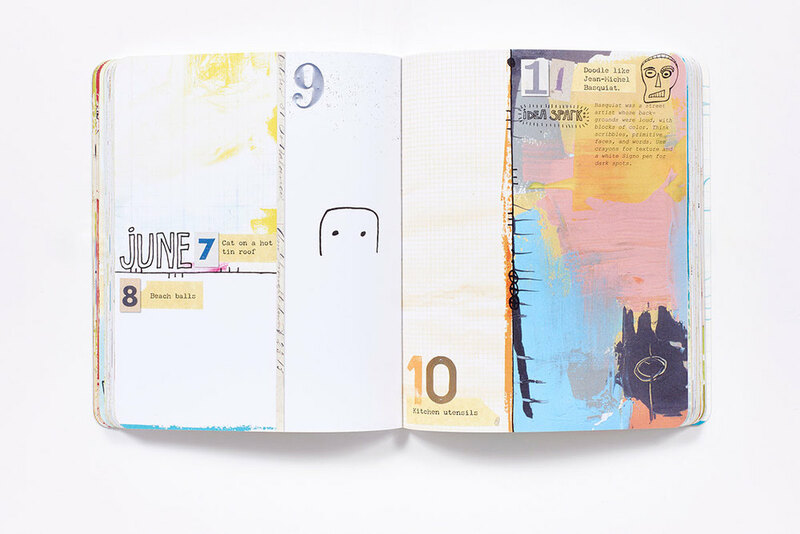 We wanted to try our hand at art journaling as well, so we spent this past week trying out a few prompts from the book. Check out the results of our early November doodles from inside the Abrams office below. Feeling inspired? Head over to Dawn's blog where she's giving away a few copies of her book. 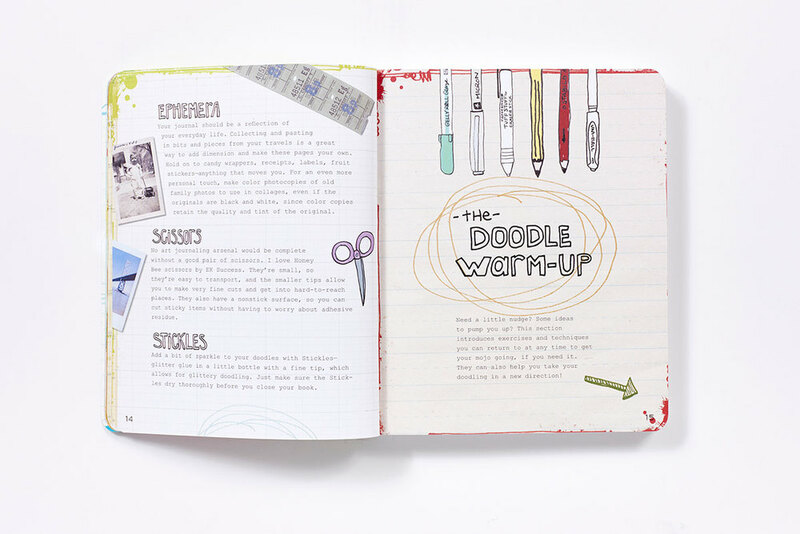 Join us and start a daily journal challenge of your own!